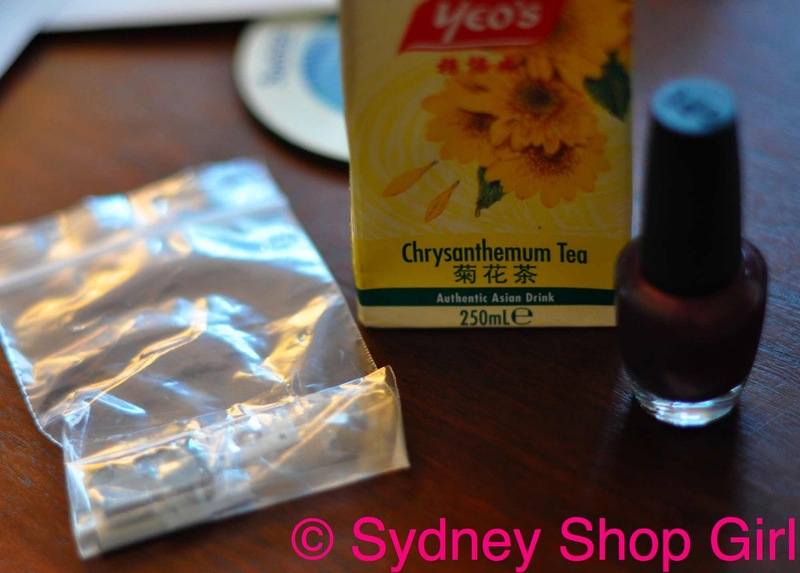 Sydney Shop Girl: Soap and Surgery. A Preview of Parenthood. There's a lot to be said for a spot of microsurgery on a Thursday evening. 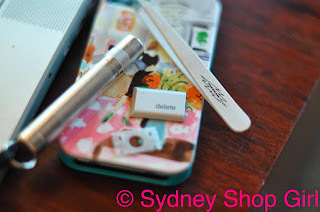 Is there nothing a Tweezerman and a baby silver MAG light can't accomplish together? 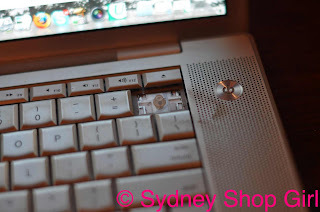 You know I Mr SSG broke the delete key on my Macbook last week? Well, we managed to book emergency theatre time tonight after Mr SSG sourced the missing delete key from a Genius at the Sydney CBD Apple store (but was unable to find an iPhone docking station that played AM Radio, is AM radio not cutting edge anymore?). Thank you, Genius Dude! He even gave us 2 in case we broke one. For nix! Of course, pre-op prep is crucially important to get right. How could the operation not go smoothly after a pedicure and a tetra pack of Chrysanthemum Tea? The operation went off without a hitch. I now have a functional delete key where once there was this. I won't waste space here with the after photo, though I am pretty proud of it. Just visualize a complete keyboard with a delete key that works!!!!!!!!!! My little brother H drove down from Taree last night. 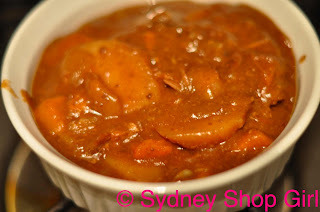 We relived childhood dinners by way of Japanese Golden Curry. 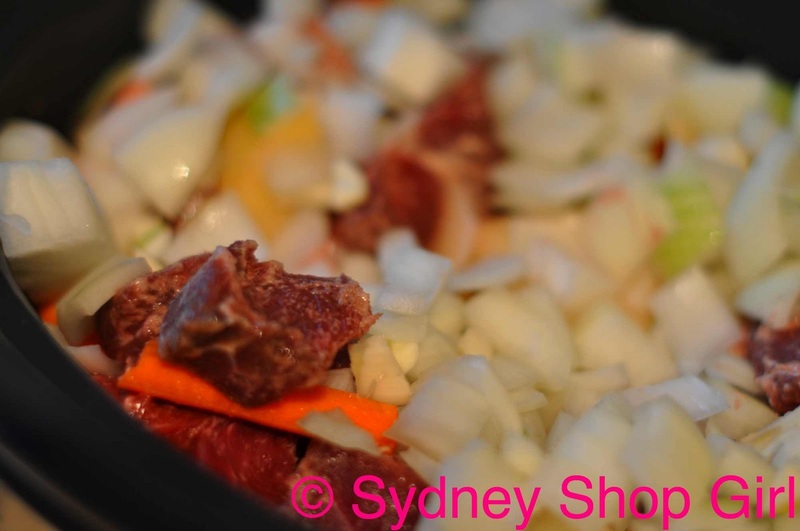 My Slow Cooker did it's thing and dinner cooked itself by the time I got home from yoga. And just as quickly as he appeared, H has hit the road again. Having H around makes the household feel more 'teenaged', in a good way. It's been a preview of parenthood for Mr SSG and I. Except that Mr SSG probably wouldn't be sharing beers with our kids. The cricket maybe, but not the beers, I hope. Can you believe the week is almost over? We're all still here. The same but different. It's been one of those weeks, hasn't it? Ups and downs, controversies, good fashion and bad - and that's just the Golden Globes. Doesn't Australia look beautiful on Oprah? I'm loving the episodes showing on Channel 10 this week. 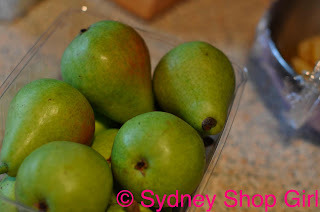 Perhaps to co-ordinate with Oprah's Camilla kaftan, pears were back at Woolworths today! 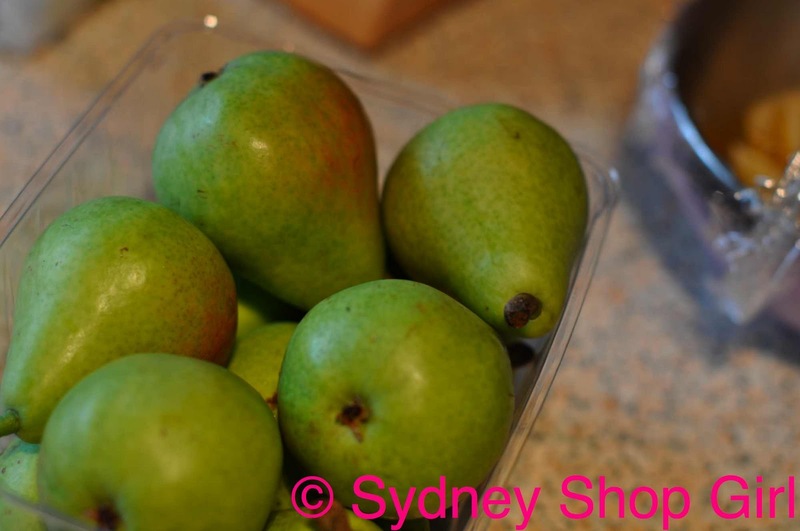 The fruit and veg areas of the supermarket have had a gloomy feel to them in the last couple of weeks. I can't just be imagining it. I hope it is a sign that life in Queensland and Victoria is going to get as close to normal as it can. In celebration of it being Thursday and the start of season 2 of The Good Wife, I unwrapped a new soap. It's a bit like uncorking a new bottle of bubbly but with less chance of a hangover after the last bubbles have gone. 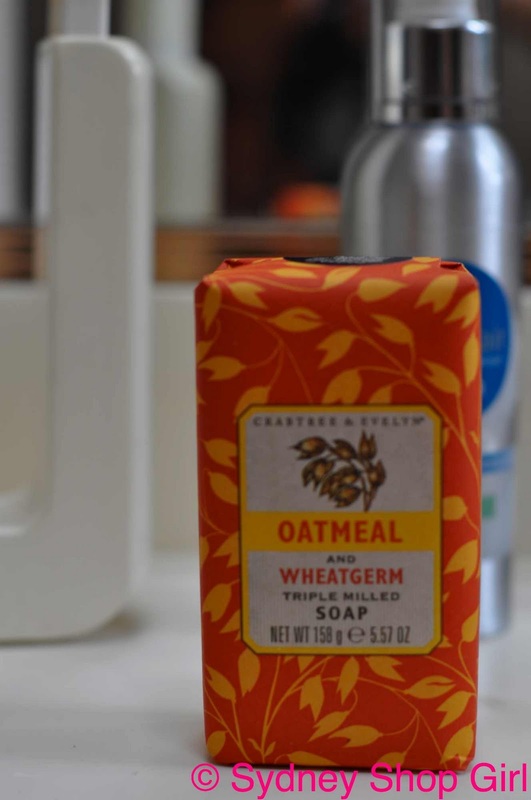 The soap of the day is Crabtree & Evelyn's Oatmeal and Wheatgerm. It smells heavenly. The most refined Oatmeal and Wheatgerm I've ever smelled. Wasn't tonight's return of The Good Wife brilliant? And did I see Tom Selleck starring in a new series? I love The Good Wife and the new Tom Selleck show is Blue Bloods - it looks really good too. 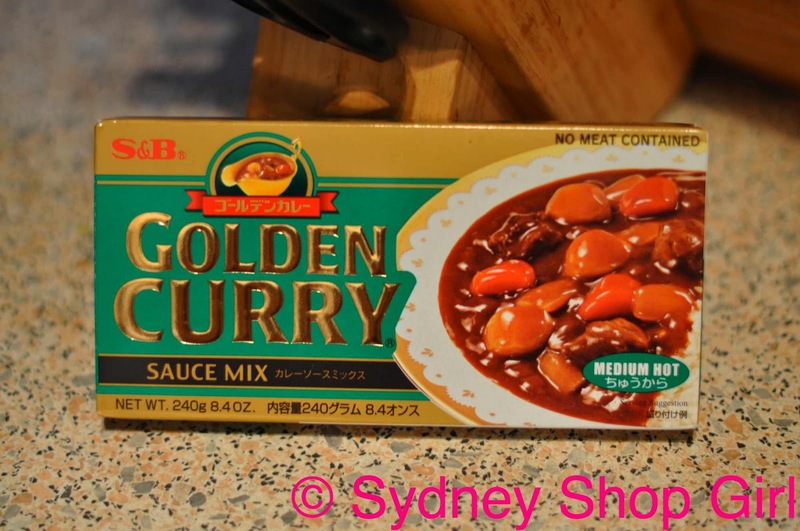 We discovered this Japanese curry during trips to Narita and love it over crumbed chicken & rice so now I always have a packet in the pantry. Yes I saw the advert for Tom's new show and my husband is sick of me gleefully enthusing about his return. I'm a sucker for Magnum PI. Reruns are aired on channel 99. Glad the delete button has pulled through. We don't get the episodes yet for Oprah's Australian trip....so jealous! Anonymous: thanks for providing the name of Tom's new series. The world is a good place when the actors of my childhood are back with challenging roles. Anne-Marie: Mr SSG felt the same about Tom and me. Must try the curry with crumbed foods. Merowyn: Yay! Can't wait to read. It was the day for medical proceedures I think - poor Millie went in for her neutering. She came out of the post op well and apparently the first thing she wanted was a cuddle. So cute! 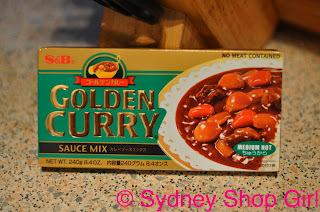 I too love golden Japanese curry. It's fantastic. Whilst I like katsu curry I think my favourite s just plain chicken. Nothing gets in the way of the delicious sauce! I haven't been home to watch Oprah. I'm not sure how I feel about it actually. Oooh - Emergency surgery. Excitement. Hope you didn't have to fight to get theatre time. AFW: has the soap arrived? Yay!! Oh...I can completely empathize with the feeling of restlessness when something you desperatly need is broken. How good you got it fixed! Oprah looks stunning in front of the Opera House and the Harbour Bridge. But then again, they look pretty amazing all on their own. I if should happen to decide to visit my blogger friends in Melbourne, I'd try and make a stopover in Sydney, too. It's such a fantastic city - and I haven't been there for 20 years!